Due to the location of some of our remote sites, our employees work on a fly in/fly out (FIFO) roster. The employee will usually be based within a residential city and commute to work by plane. FIFO is offered at sites around Australia and countries around the world. 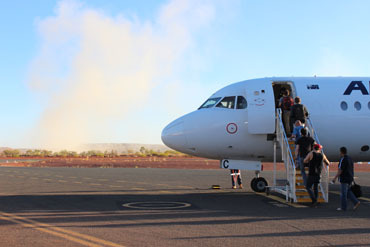 Employees at some of our remote sites in Australia, including Western Australia and Queensland, work on a FIFO roster. Employees working on a FIFO roster are paid a FIFO allowance on top of their base salary. Shifts can be 12-hours in duration, and while our employees are on-site, we will provide accommodation and meals. We ensure a great working environment at all of our FIFO sites'. Swimming pools, tennis courts and gyms are some of the facilities that could be provided while on site. Working a FIFO roster is a lifestyle choice. There are also opportunities for DIDO (drive in, drive out) in New South Wales and Queensland, Australia.